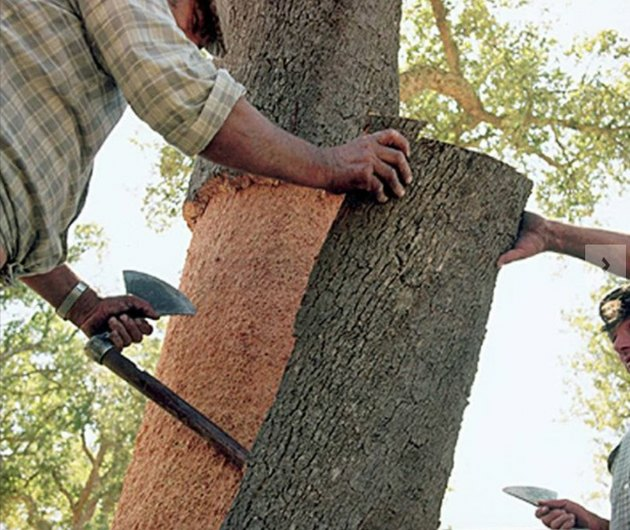 Cork is harvested by hand from the bark of oak cork trees; they aren’t harmed in the process. Cork isn't just for wine stoppers and wedge sandals (and furniture). Besides being buoyant, its insulating properties give cork many industrial applications where acoustic and thermal conductivity are considerations. Its cell structure contains millions of microscopic air pockets, so cork recovers extremely well from compression and puncture. And its molecular structure allows it to absorb and retain heat for a long period of time. These properties also give cork notable virtues as a cushioning flooring material that absorbs sound. In fact, the astounding Sagrada Familia cathedral in Barcelona, designed by architect Antoni Gaudí, has a cork floor because it improves the cathedral's acoustics and battles cold. Cork flooring is quite attractive and costs roughly the same as wood flooring. 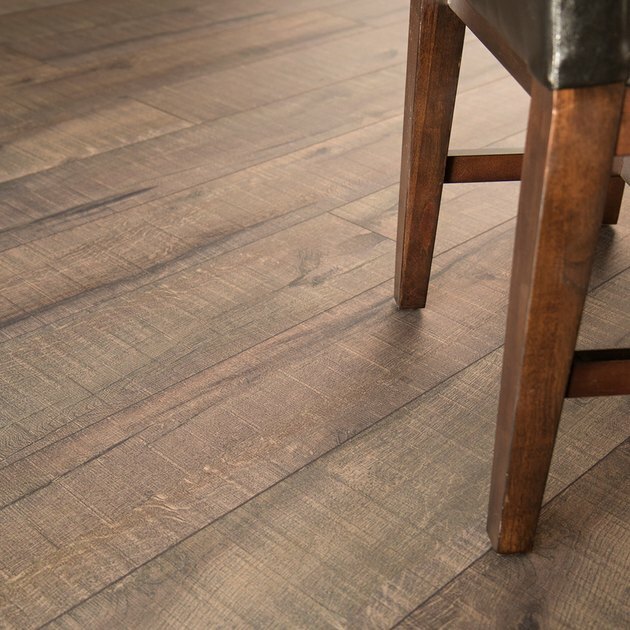 Although you won't find as many finish options as with wood flooring, cork does come in a range of looks, from shingled to quilted to burled, in squares and in long slats or planks, and in different "woody" shades, as well as white. This cork flooring, in a square format, has a burled appearance. This renewable and sustainable product is harvested from the bark of oak cork trees, which grow mainly in Portugal and Spain but also in other areas of the Mediterranean and in North Africa. The trees aren't harmed in the process, although the process is temporarily debilitating. The oak cork tree has a lifespan of approximately a century and a half and regenerates its bark every 8 to 12 years. The bark is first taken when a tree matures at 15 to 25 years of age. The outer bark on the trunk and on major branches is slit and peeled off by hand; mechanical devices are not used. The bark is then left out in the open to air dry, which improves the quality of the cork. Cork flooring isn't solid cork, but a sandwich of materials all laminated together. The cork itself is made from the byproduct of wine cork production, ground up and blended with resin binder, then baked into sheets. The structure of the flooring planks or tiles varies from manufacturer to manufacturer, but it typically consists of a fiberboard core for strength and structure, topped with a sheet of cork roughly 3 mm thick, which has a protective varnish over top. A cork underlayment is cemented to the bottom of the fiberboard; this underlay may be of the same thickness as the cork on top, or it may be a thin veneer. 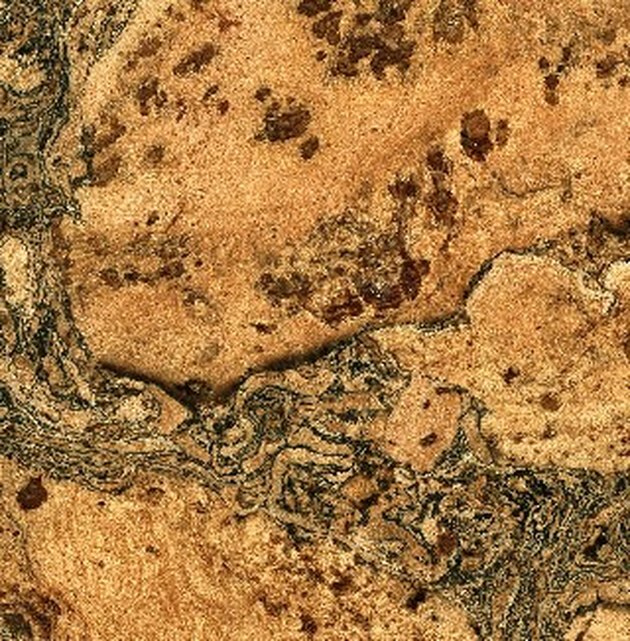 Cork is a flooring option that comes with many, many plusses. It feels warm underfoot, and it can help lower heating and cooling bills because of its insulating properties. Cork flooring is naturally resilient and cushiony, so it's good for families with babies and toddlers prone to spills, and in a good choice in kitchens where people stand for long periods. It alleviates joint and back pain. Manufacturers finish cork flooring with protective coatings to make it durable and scratch-resistant. Some products have warranties as long as 30 years. Cork is impervious to moisture, so it resists mildew and mold. Cork a renewable and sustainable product—an excellent "green" choice for flooring. Some cork flooring may look like like wood, but it offers many more benefits than wood because of its special properties. Cork won't last as long as hardwood. It can scratch and nick—but then, so does hardwood. It has to be resealed every few years. Some cork flooring is not meant for use in basements or below ground level; check the product specifications before you buy. Long-term exposure to bright sunlight and UV may cause cork flooring to fade or change color. Most cork flooring is manufactured as floating plank flooring—just click and lock. It can be installed on dry concrete or plywood subflooring, as well as over in-floor radiant heat systems. A moisture barrier underlayment is sometimes required; some cork flooring incorporates an integrated underlayment. Some kinds require a polyethylene film moisture vapor barrier. And some types can also be glued down. For these reasons, always check the installation guidelines for the product you purchase. Give your flooring 48 hours to acclimate to the new environment prior to installing it—simply open the packaging and let it sit. You subflooring must be perfectly clean, level, and dry when you install the flooring, or you'll have problems down the road. Only install cork flooring in climate-controlled homes kept between 60 and 80 degrees. If you need to protect a newly installed cork floor, use a material that breathes, such as cardboard; do not cover it with plastic sheeting. Stick felt pads to the bottoms of the legs of your furniture. Keep your pet's claws trimmed as short as possible. Avoid walking on the flooring in high heels or shoes with cleats. Finally, never use latex- or rubber-backed mats on cork flooring; these may trap moisture and cause damage.